No, most of us expect the day to be ordinary even though I’m old enough to know brutal de facto and de jure segregation firsthand. 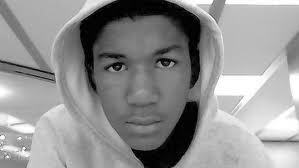 So I’m not surprised at the outpouring of grief, the hoodie pictures all over the Internet by both blacks and whites protesting the tragic killing of Trayvon Martin. I understand that any family – white, black, Latino or Asian – can be angered by the killing of a 17-year-old kid with a bag of Skittles and an iced tea. But the occurrence resonates especially hard in the African American community, which has experienced 400 years of oppression, suppression, lynchings and other terror tactics. When a day is not ordinary, when I read that in 2000s, some black couple and their children aren’t served in a national restaurant chain, or that, in February of this year, two young black men, employed, well-schooled and with no criminal records, were stopped by a Seattle police officer who told them that he would “make stuff up” when he arrested them for burglary, I’m surprised. I keep thinking, Americais better than that. So the Trayvon Martin case dredged up personal experiences that I’d buried. ; the kind that every black American has because of the “linked fate” of being African American in America and heirs to that 400-year-old history of oppression. The term “linked fate” comes from Michael C. Dawson’s book, Behind the Mule: Race and Class in African American Politics and explains why for black Americans, regardless of economic stratification, race remains the dominant influence on our politics. Because even in the company of a white friend, race trumps. And you don’t have to be a young black man. All you have to be is black. It was not in the Deep South, but Western New York. And by the time we landed, it was dark and we were hungry. The rental car clerk at the airport suggested a local place, a rustic log and fireplace establishment that he said served good steaks. My friend Judy Bachrach of The Washington Post, and I, who was with The New York Times at the time, had both been assigned to cover the Watkins Glenn International road race; so we traveled up fromWashington, D.C., together. Two women, one black, one white, we walked into that smoky, music -filled restaurant and stopped time. Our presence froze the men along the bar, their glasses half-way to their mouths, and halted the waitresses in their tracks, like they were playing statue. The music seemed to mute. A burly guy – host is too welcoming a term—broke the freeze frame when he came up to us and asked what we wanted. Dinner would seem obvious, but we explained that the rental car clerk had recommended the steak and we’d come to try it. He didn’t look happy but we didn’t look like we were leaving so he escorted us away from that crowded front room, through two large rooms with a smattering of customers, to a third large, completely empty room, and deposited us at a table farthest away from the entrance. “Waitress is going to have a long walk,” I said, pleasantly, as he walked away. “Did what I think happened just happen?” asked Judy, awe-struck. The more I think back, more incidences surface, but I’ll limit myself. About 10 years ago, my 15-year old niece and her white girlfriend came to visit. I planned an outing toBaltimore’s InnerHarbor for the day. Halfway between Washington and Baltimore, a Maryland trooper rolled up, lights flashing, signaling me to pull over. I wasn’t speeding. But law-abiding citizen that I am, I pulled over. Maybe it’s a rear light that’s out or a tire that is dangerously flat, I think. Excuse me? I am now angry, but civil because you never know with this kind of person whether they will invent something that will take an unpleasant situation into a nasty, dangerous one – chalked up later after the damage is done to an unfortunate misunderstanding or overzealousness. He’s still fronting a tough façade, but something came over his face. We’re casually dressed, but maybe I’m one of those snooty Washington-types, a lawyer or a civil rights advocate. Maybe I’m more than just an ordinary citizen, maybe I’m somebody. Maybe this will come back to bite him. “Just checking,” he says, “just checking. You can go,” and he signals me to move. Which comes to my 17-year old nephew, who like most teenagers is a bit of a klutz, unthinking, a kid who often does stupid things, like stealing beer from the golf clubhouse, something that my brother and I know can get him arrested and tagged with a record forever. I have deluged him with statistics about the U.S. prison population disproportionately including minorities, with a third of African-Americans between the ages of 20 and 30 having passed through the criminal justice system in 1995. My brother has warned him that he is to be politeness itself if he ever gets pulled over by cops, to “yes sir” and “no sir” them until he is safely free of them. He’s told us that we talk too much about race that he lives in a post-racial society, with friends of all ethnicities. Or rather, he used to tell us that until Trayvon Martin reminded him of that 400-year-old history.